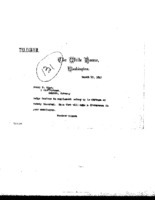 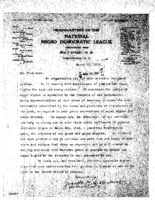 Date is exactly "1913 March 3"
Joseph Stewart writes to Woodrow Wilson thanking him for interview at the White House. 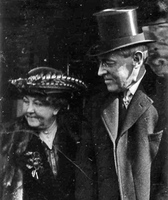 Woodrow Wilson writes to Henry Fine informing him that Dodge desires to supplement salary. 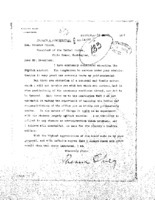 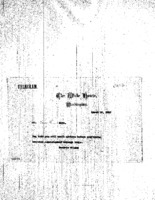 Richard Olney writes to Woodrow Wilson declining position of ambassador to Great Britain. 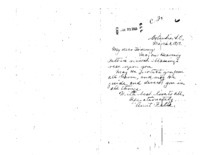 Felexiana Woodrow writes to Woodrow Wilson wishing him God's blessing and protection. 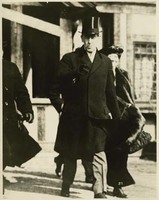 Woodrow and Ellen Axson Wilson leaving Princeton for Washington, 1913 March 3. 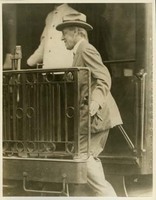 Woodrow Wilson leaving Princeton for Washington.